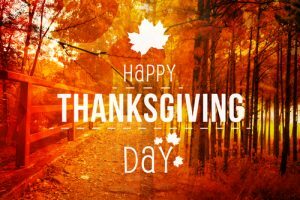 Thanksgiving is a special day because we take time to reflect on what really matters and to thank those we love and who have a special place in our lives. Therefore, we would like to thank YOU, our valued patients, for all your support at The Colorado Center for Gynecologic Oncology. For us, it is not just a business, but an opportunity to serve others in many ways. We are also eternally grateful for our amazing staff who work together as a great team to give you the best service possible.